Provide comfort for the family of Danny Erekson with a meaningful gesture of sympathy. Danny Jack Erekson, 71, passed away peacefully on Friday, March 22, 2019 in Payson, UT. Danny was born in Payson, UT on October 20, 1947.He was the first of 12 children born to Harold Keith Erekson and Vilda Josepha Hatch. Danny was raised in Payson where he learned the value of hard work and the necessity to work to provide for his family. His love of music was obtained in his youth and continued throughout his life. He graduated from Payson High School in 1965. 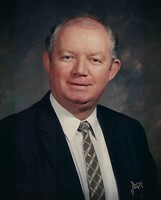 He served a mission for The Church of Jesus Christ of Latter-day Saints in the West Spanish American Mission (primarily in AZ and CA) from 1967-1969. After his mission he attended BYU where he met Emma Perry Burr. They were married on March 12, 1970 in the Manti Utah Temple. They later divorced. Danny served in the U.S. Army from 1970-1972, stationed in Washington and California. He also worked for the LDS Church Farms in Provo, UT from 1972-1974 after which time he moved his family to Payson and began a long time career as a truck driver and mechanic. He also attended UVTI, now UVSC, for a time. In 1981 the family relocated to Northern Wisconsin where the family resided until 1993, during which time Danny continued as both a mechanic and over-the-road truck driver. Upon returning to Payson in 1993, he began working for Schwan’s as a salesman and continued there until his retirement at age 70. Danny married Patricia Williams Stephensen on January 16, 1999 in Payson and on January 21, 2000 they were sealed in the Mount Timpanogos Utah Temple. He was an active member of The Church of Jesus Christ of Latter-day Saints and spent his life serving in a variety of callings. He taught his children to serve others as they accompanied him throughout their childhood. Danny found great joy in singing and sang with or conducted the ward choir for many, many years. Family meant everything to Danny. He loved being a father, but found a special joy in his role as a grandfather and great-grandfather. It was important to him to attend family reunions and strengthen relationships with members of his large extended family. Being in the temple with his grandchildren was a cherished time. Danny will lovingly be remembered by his wife Pat, children Richard “Rick” A. Erekson (Kayla), Charles “Chip” Erekson (Antoinett), Jackie “Jack” Erekson (Laurel), Amanda Humphrey (Antoine), Chris Stephensen (Joann), Erin Seely (Stewart), Heather Sorenson (Terry), Megan Stephensen, siblings Billie Gold (Thomas R), Phil Erekson (Teri), Marjean Barnett, Charles Erekson (Mary), Kenneth “Ken” Erekson, Rosalie Naylor, DeeAnna Erekson, Marylin Davisson (Ken), Patricia Whitney (Matthew), Richard Erekson (Dory), Edward “Ed” Erekson, 27grandchildren, and 7 great-grandchildren (plus 3 more he will get to know before we meet them here). DUE TO EXTREME ALLERGIES THE FAMILY REQUESTS NO FLOWERS. In lieu of flowers, donations may be made to The Church of Jesus Christ of Latter-day Saints General Missionary Fund. To send flowers in memory of Danny Jack Erekson, please visit our Heartfelt Sympathies Store.